Constructed with the highest quality materials and built to last, the True hinged door under-counter refrigerator provides attractive and hygienic chilled storage in a compact and efficient unit. With a full five year warranty, the True under-counter fridge boasts impressive enduring quality, protecting your long term investment and providing an exceptionally reliable storage solution. 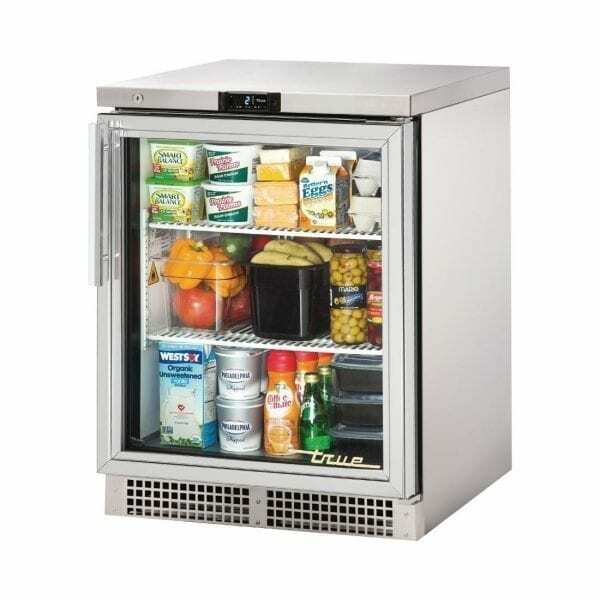 Constructed from stainless steel and thermally insulated double pane glass, the True fridge is easy to clean and environmentally friendly, thanks to its efficient design and R290 refrigerant.